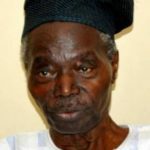 The Economic Commission for Africa (ECA) last Saturday hosted a high-level memorial symposium in Lagos, Nigeria in honour of Adebayo Adedeji, former Executive Secretary of the ECA. 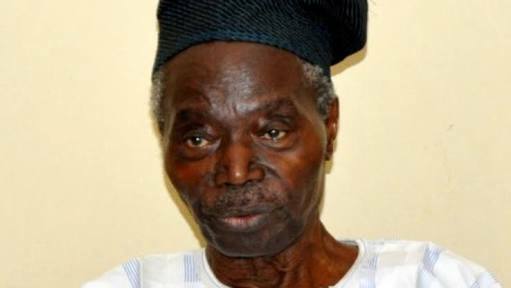 The late Adedeji is acknowledged by many as one of the most towering intellectual figures and development practitioners in Africa in the late 20th Century. He served as Executive Secretary of ECA for sixteen years (1975- 1991); the longest tenure in that position by any executive secretary. The symposium reflected on his ideas and notions of development, their relevance in contemporary era, the trajectory and current context of Africa’s development, and the challenges, opportunities and prospects for the structural transformation of African economies and the Continent. Under his leadership, ECA assumed not only regional but global prominence initiating and leading several Pan-African projects and working closely with the then Organisation of African Unity (OAU) in promoting regional integration, and the social and economic development of the Continent. Some of the historic economic initiatives that took place with ECA’s intervention under him include the famous Lagos Plan of Action and the Final Act of Lagos of 1980, the Abuja Treaty establishing the African Economic Community (AEC) of 1991, the African Charter on Popular Participation in Development and Transformation popularly known as the Arusha Declaration of 1990 and the African Alternative Framework to the Structural Adjustment Programme for socio-economic recovery and transformation (AAF-SAP). Committee established by the Heads of State and Government of the African Union to audit the integration efforts of the AU in 2007. Members of the diplomatic circle, academia and other stakeholders were also in attendance. Notable among them were Vera Songwe, Executive Secretary, ECA; Peter Anyang Nyongo’o, Governor, Kisumu County, in Kenya; Hage Geingob, President of Namibia; and Amos Sawyer, former President of Liberia. Also in attendance were Ibrahim Gambari, former Minister of External Affairs and former Permanent Representative of Nigeria to the UN and Under-Secretary-General; and Eloho Otobo, non-resident Senior Expert the Global Governance Institute. Emmanuel Nnadozie, Executive Secretary, Africa Capacity Building Foundation, was the moderator of one the presentations and panel discussions, ‘Reflections on Africa’s economic development agenda: Hopes, failures, opportunities. (From Lagos Plan of Action to the African Continental Free Trade Area)’. Other sessions included ‘Adebayo Adedeji in the trajectory of public administration and development in Africa’, moderated by Adele Jinadu, former Director General, Administrative Staff College, Lagos. by Abdoulaye Bathily, was the another session. ECA boss, Songwe, said the purpose of the symposium was to highlight key accomplishments of Adedeji with regard to Africa’s economic development agenda, and how they underpin the current context of the continent’s development and structural transformation prospects. She said for the 16 years Adedeji served at the ECA, structural transformation was his mantra for Africa.